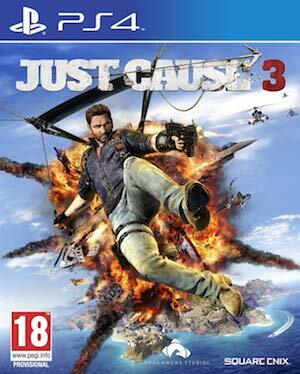 A complete guide for Just Cause 3. Avalanche Software’s open world explosive action game is now available and we have a complete guide for the same. Using this guide you will be able to earn unlimited Gears [thereby unlock all Gear Mods], find all Di Ravello tapes, unlock Golden Urga Mstitel chopper, find the fastest and best car [F1 car], plane, bike, trucks and vehicles. Furthermore you will also be able to unlock the most powerful weapon in the game (M488 SUPER NUKE RPG), reach the highest point in the world map, complete all daredevil stunt jumps, vintage parts and unlock some trophies and achievements. There are over 70 tapes that you can find in Just Cause 3. You can find them scattered across the the world in the regions of Insula Fonte, Insula Striate and Insula Dracon. If you manage to find them all you will unlock the Golden Urga Mstitel chopper and Diary of the Madman trophy/achievement. Before we begin, a disclaimer: Please use the following modifications at your own risk. If you are banned from Steam or any platform by using these cheats, you cannot hold us responsible in anyway. Furthermore, we haven’t tested these cheats so use them at your own discretion. You can gain unlimited Gears by seeing this video here. If you fast travel a few times in Manaea in Baia, you’ll eventually find this care in the parking lot on the southern border of the town. This car is hidden away in a warehouse in Northern Montana. You are also given this car to use in the City Sprint challenge in Regno once you’ve liberated the area. Fastest Assault Chopper: Collect all audio tapes or finish the campaign mode. Cargo Plane: Liberate Falco Maxime. This plane is located at 48.135, 41.749 co-ordinates. Fighter Jet: Liberate Griphon. This plane is located at 49.621, 32.301 co-ordinates. STRI FACOCERO: Liberate Porto Le Gratia in the Province Lavanda. This combat vehcile is located at 41.232N, 42.278E co-ordinates. CART Urga 570: Liberate Cava Geminos Est in the Province Rocca Blauda. This combat vehcile is located at 47.538N, 34.628E co-ordinates. Incendiario Monster Truck: Complete 7 Stunt Jumps in Insula Striate. CAVOUK U-15: Liberate Cava Grande Secunda in the Province Prospere. This bike is located at 45.245N, 39.815E co-ordinates. This weapon is absolutely insane and is the fastest way to earn a ridiculous amount of chaos at one go. It’s ideal to liberate towns really quickly. This will weapon will show up after you finish The Shatterer of Worlds mission. Once you finish it, it will show up in your Rebel drop list. You need to fly to the Province Montana in Insula Striate where you will find a mountain. This is the highest point in the game. Reaching there also unlocks the Top of the World Trophy and Achievement. There are 30 Daredevil Stunt Jumps in the game. Once you complete them all you will unlock the Consummate Daredevil Trophy and Achievement. You can find the Soap Box vehicle at the entrance of Cima Leon: Centcom. Finding this vehicle unlocks Feat Fetish Trophy and Achievement. There are 54 parts here. Finding them all will unlock the Film Noir Mode (Black and White screen) along with the trophy and achievement. Below you will find video guides for some achievements and trophies within the game. Get 1000 Chaos. This is really simple to achieve and can be unlocked within the first hour of the game. Get 100000 Chaos. This is not easy as you would need to liberate provinces, attack enemy bases and capture towns. Get 1000000 Chaos. You would need a powerful rocket launcher such as the ones listed above to make this trophy a bit easier to unlock. Beat another player’s score in a Challenge. In order to unlock this trophy you would need to be connected online and compete in leaderboards. There are several activities which you can take part and if you are playing the game the way it’s meant to be played, this is not really a difficult one to unlock. Earn at least 3 Gears in a Challenge. This is pretty simple to unlock. Earn 5 Gears in a Challenge. This is pretty simple to unlock. Sprints are the best way to earn all gears within the challenge. Earn at least 3 Gears in one Challenge of every type. Just Cause 3 has different types of challenges spread across the world map. Participate in all of them and get at least three gears unlocked. Earn 5 Gears in every Challenge. This is a pretty difficult one to unlock but fortunately not impossible as the game allows the player to try out the challenges unlimited times. Unlock Rebel Drops for at least one land vehicle, one air vehicle, and one sea vehicle. Play more of the game, capture military bases and cause more destruction to unlock this one. Collect every vehicle available by bringing them to Mario’s Garages. Refer the All Daredevil Stunt Jump Locations guide above. Refer the Reaching The Highest Point In The Game guide above. Liberate a Province. You will unlock this during your normal story playthrough. Liberate 13 Settlements. You will unlock this if you are of the exploitative type. It’s not hard but time consuming. Successfully complete an Encounter. These are mini-missions that may happen randomly while you explore the world. This missions include helping a rebel escape or pushing someone’s boat into water and others.